The biggest piece of advice I would give to professional performers? Everything is possible but you can’t do it all at once! Be decisive and be strategic. A lot of people have been asking me for advice recently about becoming a full time professional dancer. I thought I would put my knowledge to use and share these little insights with you. Feel free to comment any pearls of wisdom of your own if you are a fellow performing artiste! *Disclaimer – the below is by no means an exhaustive list, nor do I claim to be the ultimate expert on building a successful career in the arts. This blog entry serves as a source of information and advice that has helped me personally, based on my individual professional goals, to build a successful career as a performing artist. The best thing you can do to streamline your success rate as an artist is to choose the sectors of the industry you want to work in. Do you want to teach? Do you want to perform? Do you want to be a choreographer? Do you want to work in theatre? Do you want to be a commercial dancer? Do you want to battle? These are all vital questions you should ask yourself when carving out your professional vision. My biggest piece of advice regarding this point would be to identify your desired industry sectors (theatre/teaching/commercial dance/dance battles) and think about how these sectors compliment each other; if they are polar opposites or if they could potentially integrate. You can of course work in many different sectors of the industry and most of us do, however I do believe it is helpful to begin with a specific focus. In an ideal world your chosen sectors would at the least compliment each other, if not integrate with each other. As a dancer, versatility is vital. It can however block productivity if not approached correctly. In my opinion, finding your niche can work wonders for you over the strive for versatility. Pick your disciplines. Are you a hip hop dancer? Are you a musical theatre performer? Are you a ballet dancer? Are you a burlesque artiste? If you value quality in your work then avoid becoming a jack of all trades and master of none. Yes, still work on new styles. Yes, still challenge yourself. Yes, still learn new skills. Yes, be adaptable. But make crafting your chosen disciplines your top priority. Again, in a perfect world, all your chosen styles/skills would compliment/relate to each other. It’s not absolutely essential but it does work to your advantage, at least to begin with. Artists frequently alter their paths at later stages of their career when the time is right. This point is essential now more than ever. Your network is everything in this industry. Probably the most important piece of advice I will give you in this entire blog: be authentic. Genuinely authentic. I could write a whole book on this point alone but luckily Dale Carnegie has already done so much better than I ever could so I will refer you to the most important book you will ever read on building any type of network – How To Win Friends And Influence People. Read it. Practice it. In practical terms: attend events, socialise, talk to people, be active in your chosen scene(s). But remember, no one likes a self-involved busy-body; adopt a genuine interest in other people. A good photographer & videographer will be your best friend in this industry. Regularly invest in high quality up to date pictures & videos of your work. You will use these ALL the time for applications and promotion. Also invest in a high quality showreel to showcase your work. Once you’ve refined your professional goals, apply to agencies that are relevant to your chosen sectors. Some agencies will hold regular auditions. Do some research and find ones that will be a good fit for you. A point of advice – write individual, personalised emails to each agency. Don’t copy & paste or send a mass email. In general, commercial agencies tend to not be exclusive while musical theatre agencies tend to be exclusive. Always double check if an agency will act as your sole representation if you are unsure. Once you sign to an agency, the work does not stop there. In fact, I have gotten the majority of my work by myself. I apply for roles and put myself forward for performance jobs on a regular basis. This is where your promo material comes in handy. Most jobs will require you to send a copy of your CV, pictures & video footage. Join The Hustle Facebook Group and similar groups and regularly check them for job opportunities. Also check out Mandy, The Stage & Spotlight. Unless you want to solely teach, you’ve gotta show up at auditions. Remember – the amount of auditions that you need to attend versus the amount of auditions you will book is quite high in comparison. Don’t be put off by this, this is reality for most performers. If you really struggle with this, think of auditions as free classes. Pineapple’s Blog usually have great up dates on forthcoming auditions. If you are someone who, like me, wants to primarily perform, then decide if you would like to work with a company alongside your solo endeavours. This will likely increase your frequency of work and future opportunities. What dance companies inspire you and why? What companies hold artistic values in line with yours? What companies would you love to be a part of? What companies could you contribute something to? Look them up, research them and keep up to date on their audition announcements. As much as it has it’s vices, social media is a great way to increase your workflow as a dancer. Again, your photo & video material will be integral in building your social media presence. Your material should be a clear representation of you and your work. Keep your accounts focused on professional content for the most part. Create high quality content and share it across all your social media platforms. Build an audience. This is a useful way to create interest in your work. It is imperative that you are clear on who you are as an artist here, hence the importance of making choices and identifying your niche in points 1 & 2. These are only 9 ways of increasing your work opportunities as a professional dancer. There are many more. 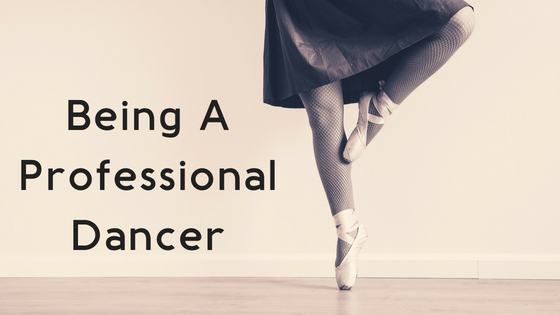 Being a professional dancer in reality means being many job titles in one. You have to be your own manager, agent, stylist, costume designer, makeup artist, accountant, graphic designer, PR manager, marketing manager and the list goes on… I haven’t mentioned the subjects of branding, insurance, Equity, invoicing, accounting, tax & the infinite behind the scenes responsibilities. Yes, it does sometimes seem that “Professional Performer” actually translates to “Professional Powerhouse”. It may seem like a lot, but it is possible. Remember – you can do everything, you just can’t do it all at once! Great Post, very informative and realistic to a London scene! Thank you Jess!